Colin Furze turned a briefcase into a gas-fueled portable fireplace. Seems that it would be impractical, inefficient, and possibly rather dangerous, but still stately and impressive. Some might find this nanner knife appealing. I’m guessing you have a bunch of them? In effectively unused condition, the square case with top carrying-handle is in gold Epi leather, with gold-plated studs, latches and lock, and original key. 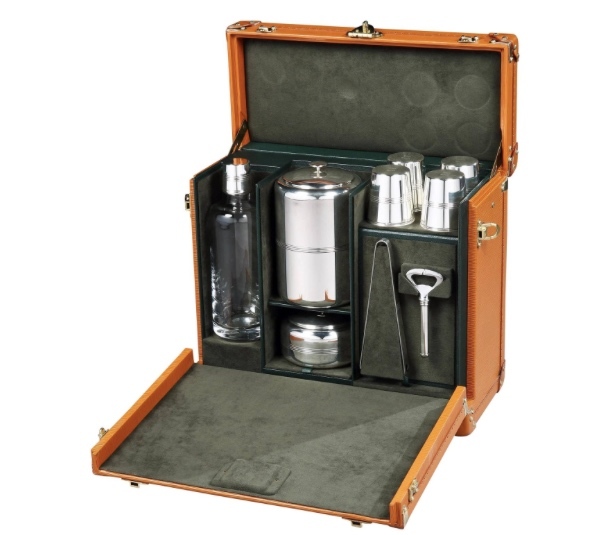 The drop-front exposes the interior, lined in deep green alcantara and grained leather and fitted with compartments containing all a whisky connoisseur would require – a single, heavy glass silver-mounted whisky carafe, four whisky beakers, a Thermos-lined ice bucket and a nut or olive dish, all in Sterling silver and marked Christofle for Louis Vuitton. A stamped pair of silver tongs and a corkscrew with cover, completes the set. I've requested the price. 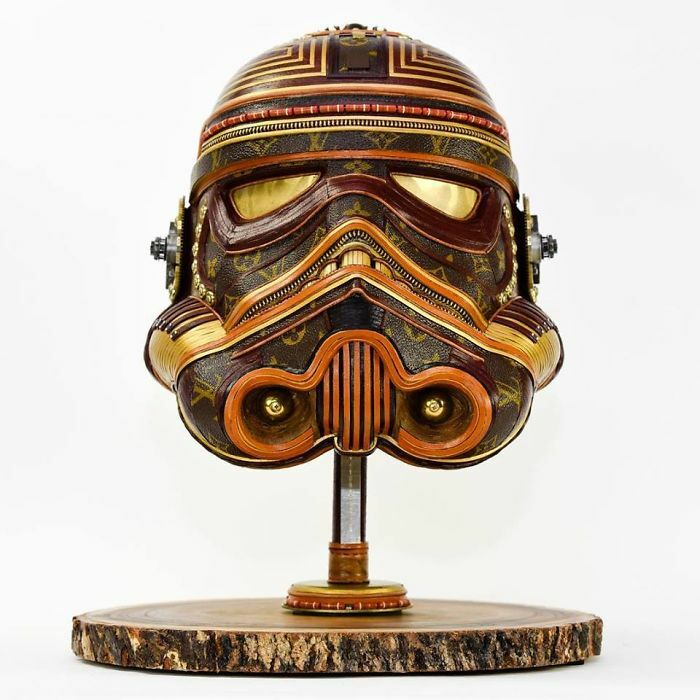 LV's recent updated model of the Whiskey Case is approximately $35,000. 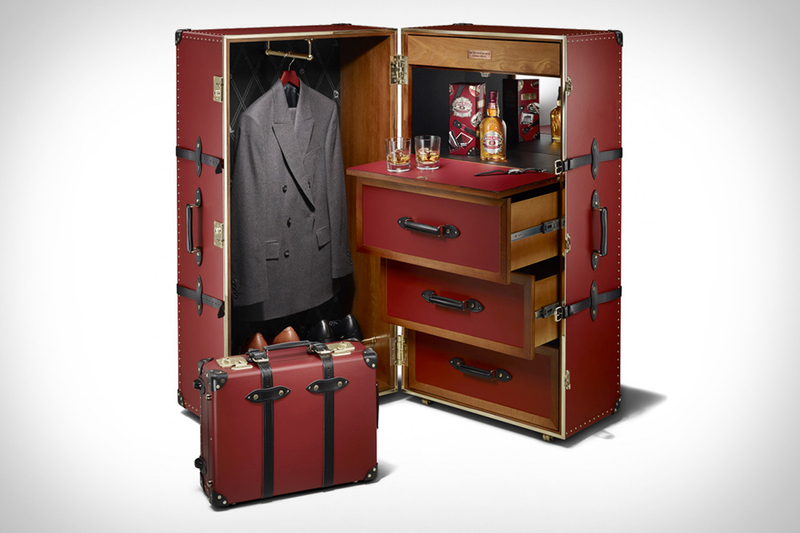 Posh luggage brand Globe-Trotter and boozemaker Chivas teamed up on this steamer trunk design that includes a minibar. 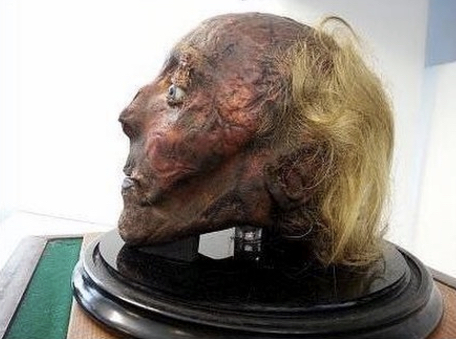 Good for long flight delays, I reckon. They'll make you one for just $18,000. 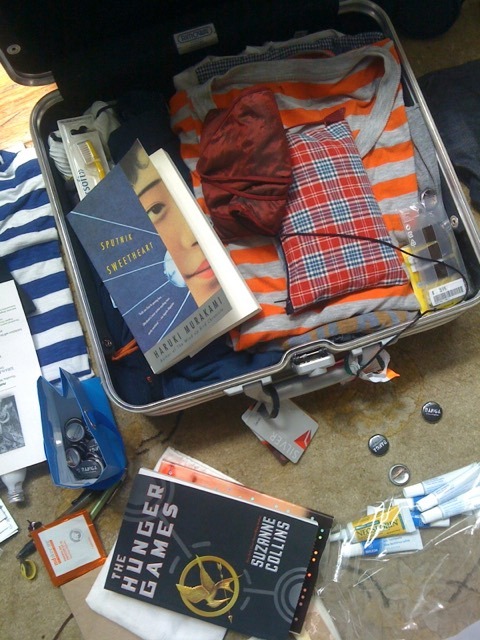 This bag has been my indefatigable mobile office for the past 2 years. I am a train commuter navigating from Boston’s suburbs into Kendall Square (MIT), Cambridge five days a week. Productivity is important to me during my commuting time and the bag offers outstanding organization and comfort to allow me to work anywhere. Skooba Design loaned me an early production model of its upcoming iPad/Tablet Courier V.3 messenger bag. I've been trying it out for the last couple of days and like it a lot. I've been a fan of Skooba ever since I started using the Laptop Weekender Travel Bag. Like the Weekender, the iPad/Tablet Courier is made from water-repellant micro-ballistic nylon that holds up to rough treatment. Rufus Roo jackets are designed to help you beat airline luggage limits (given that they seem to be British, I'm going to go out on a limb and guess that this was inspired by the awful RyanAir, which treats travelling with luggage as an oligarch-grade luxury and charges accordingly). 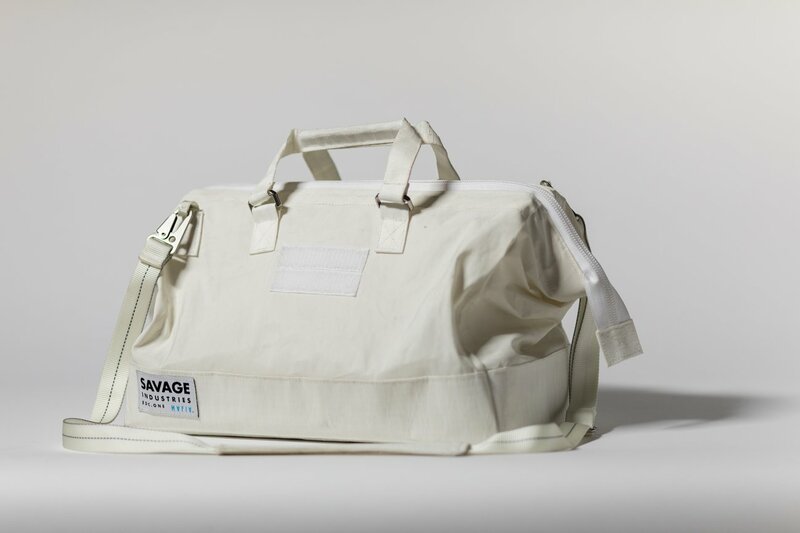 It's designed to let you carry your shoes, changes of clothes, laptop, reading material, and wine and food in a series of pockets stitched throughout. 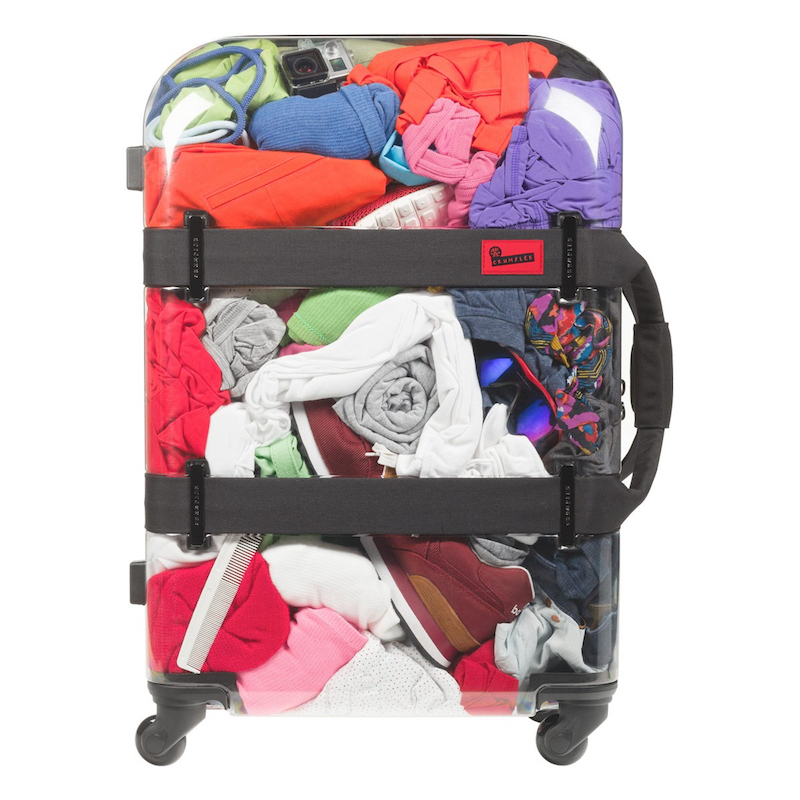 Stylish wearable luggage ideal for Holidays and Short Breaks, great for carrying the kids stuff, Commuting to work, Shopping without bags, travelling to Music Festivals or to Sports events. Lightweight* in a range of sizes comfortably fits most adults or children when worn over clothes and fully loaded. 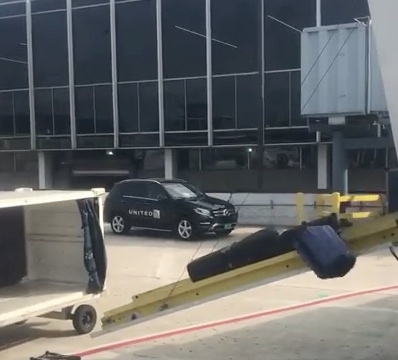 Agent's Move-On wheeled luggage has a scooter board that unfolds from the back of the bag so that your kid can ride along behind you, or you can stack other pieces of luggage on it, turning your suitcase into a redcap's luggage cart. There's also a version that works like a stroller for babies and toddlers.